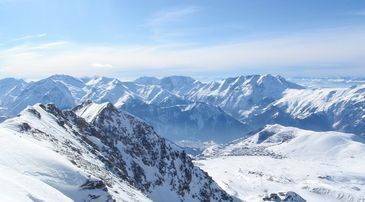 Introducing Le Grand Massif, the fourth largest ski area in France and within sight of majestic Mont Blanc. So what makes this area such a great ski destination? 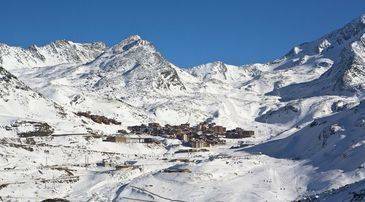 Perhaps it is the 255km of pistes across a range of levels, 40,000 ski hectares and five skiing stations. With the five resorts of Flaine, Les Carroz d'Araches, Samoens, Morillion and Sixt Fer-a-Cheval, are you up for the challenge? 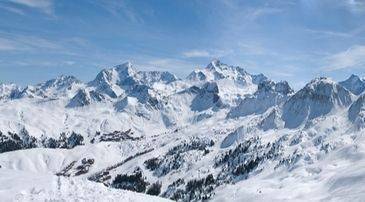 As you would expect from such an extensive area, Le Grand Massif has slopes to suit all abilities. Flaine sits at the heart of the area and has a modern appearance with first-class functionality. Bauhaus designer Marcel Breuer was responsible for much of the architecture in the area and so it has a certain futuristic appeal. If you prefer your ski resorts with a little more traditional flair then the villages of Les Carroz d'Araches, Samoens and Morillion are full of wood panelled houses, ideal for that authentic mountain atmosphere. The lowdown on this fabulous ski area consists of 265km of slopes; 117km easy, 107km medium and 41km difficult. There are a total of 77 ski lifts, 236 snow cannons, one snowpark, toboggan runs, one floodlit slope and 90km of cross country skiing. And most positively, the snow record in this area, particularly Flaine, is excellent! As a destination for newbies, Le Grand Massif is a good choice. The resorts are linked by easy blue runs, so beginners generally find it easy to explore and really get a love for their new sport. One of the larger areas for beginners is accessible from the top of the Samoens lift. The runs are green and scenic and really give the first timer a chance to build some confidence. The whole Le Grand Massif area is popular with intermediate skiers who come to take advantage of wide and long red and blue runs. Those who like a scenic run should head for the north and west slopes towards Les Carroz and Morillion. Skiing in Flaine offers plenty of fun at a higher altitude. For a truly memorable run head for the highest point in Le Grand Massif named Grand Platieres and join the Cacades piste. A blue run which bypasses frozen waterfalls and arrives into the pretty village of Sixt-Fer-Cherval. A lot of available information on La Grand Massif will tell you that it a paradise for intermediate skiers, therefore you don't get crowds of experienced skiers, leaving tons of unchartered powder just for you. There are some very steep off piste areas situated just above Samoens. For true off piste skiing it is recommended to take a guide as there are numerous hidden dangers. Snowboarders in this area are well catered for with a range of long wide runs, plenty of tree-lined sections, open bowls and free style parks. For those who are just starting out with snowboarding, the area around Samoans is possibly the best choice to head to. The Flaine bowl is a great option for intermediate and advanced snowboarders alike. There are three snow parks in Le Grand Massif, Septimountain, Jampark and a kids' snow park just above Morillion. The Septimountain Park is aimed at intermediate freestylers with a number of boxes, jumps and rails. The Jampark is one of the largest ski areas in Europe particularly aimed at experts who can enjoy the music pumping from the sound system. There are numerous events each year with snow parties and barbecues. If you can be tempted to put away the skis or snowboard for just a few hours then there are plenty of other activities for you to get involved with across the Grand Massif area. Try the toboggan run, ice rink, cinema, indoor and outdoor pools and a wellness centre. There are plenty of eateries to choose from, whichever resort you happen to be staying in. If you are staying in the areas of Morillion, you could opt for the cheap and cheerful Le Puzze, which offers traditional family meals with pizzas and burgers. If you are something of a connoisseur you may want to sample the top notch food at Hotel Le Morillion, and the price tag is not too bad either. In Samoens, Le Serac and Mezza-nine are proving rather popular. In Flaine, Le Flying Dutchman offers both great food and a lively atmos-phere. Finally Les Carroz d'Araches is home to popular Grill du Gron. The overall area does not have a nightlife which could compete with the likes of Meribel, but it is still a lively place to be. Flaine Forum is home to the infamous and very exclusive Les Caves nightclub which is open till 5am, seven days a week! For the best value packages and deal, it's offered worth booking your passes and equipment hire in advance. Madame Vacances can help arrange this for you. There are approximately six ski schools in the area, situated in different locations. The resort itself has over 1360 ski instructors and so visitors should find no problem with tracking down the tuition that best suits them. There is no shortage of childcare services within the area. There are plenty nanny services who will happily take care of your children whilst you ski or dine. In Flaine, two ski schools / childcare centres are available which offer care for children between the ages of three and five; and then up to 12 years old. In Morillion, the nursery offers a range of childcare options for children who are aged between six months and eight years old. Parents can choose between a half or full day option which can be combined with ski. There is a similar provision in the other areas. This ski area is accessible from the highway and there is usually enough free parking situated at the base stations.